Cloudkicker is the name of the one man project by Ben Sharp. In the past, Sharp always released his music for for free via download, which is impressive considering the professional quality of the recordings (these definitely aren’t your “garage band demo tapes”), but Beacons, his second full length album, is his first album that is available in CD/vinyl format. Though, you can still download it for free. Cloudkicker can be described as meshuggah-esque, instrumental metal because of the heavy use of odd time-signatures and poly-rhythmic drumming. Though I believe Cloudkicker departs from Meshuggah by being more melodic and interesting with the guitar parts. Each song is very layered, creating a “wall of sound” effect that I particularly enjoy and forces the listener to go over the same song and find something new each time. Or you can just put it in, turn up the volume, and bang your head. In short, I really do love this album and highly recommend it and all his previous work. Brian Eno- Small Craft on a Milk Sea- Entirely instrumental, this album was said to be inspired by movie soundtracks, which is very evident as soon as you turn on the first track. The sound is atmospheric and ethereal and definitely worth playing. Every track turns an everyday situation into a dramatic scene. If you don’t want to play this on your show, at least play it at home. “Small Craft on a Milk Sea” and “Flint March” represent the spectrum this album goes through and are both well-done. 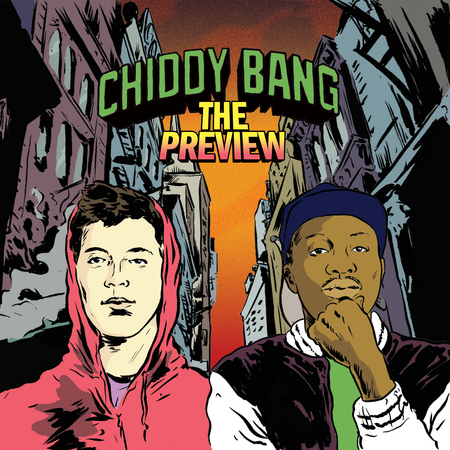 Chiddy Bang- The Preview- Grabbing fans from different crowds, Chiddy Bang is a rap duo using well-known indie (is that an oxymoron? oh well) tracks as their background music while incorporating well-placed rap lyrics. Their most popular track “Opposite of Adults” takes MGMT’s “Kids” and transforms it into a track about growing up rather than a family of trees. Look for beats by Sufjan Stevens, Passion Pit, and Darwin Deez. The Philistines Jr.- If a Band Plays in the Woods…?- We get a lot of indie around here, but this album stands out from your typical independent artist. The instrumental portion of each track is well-produced and thought out. “B” is a good indicator of their musical ability while “My Brother Tom, The Green Beret” and “Tarquin’s Half-Assed Mission Statement” prove that they have the complete package. Try it, you just might like it. Erland and the Carnival- Trouble in Mind- Softer contemporary rock with a heavy Franz Ferdinand vibe. The keyboard and guitar riffs make for catchy music that’s easy to listen to. The single, “Trouble in Mind” is a softer track that plays it safe, while “My Name is Carnival” takes a bit of folk and successfully blends it with rock to create an elegant track. Guster- Easy Wonderful- The first track is “Architects and Engineers,” how much more appropriate can you get? This album mixes 60s pop and modern indie into an upbeat collection of tracks. No gimmicks, just music, which makes it seem very pure. If you’re already a fan of Guster, you’ll appreciate their newest effort. If you’re not familiar, try it out, you may just like it. “Do You Love Me” is my favorite. The Orb feat. David Gilmour- Metallic Spheres- If you’re a fan of the Orb already or happen to enjoy Pink Floyd (see David Gilmour), you’ll like this album. 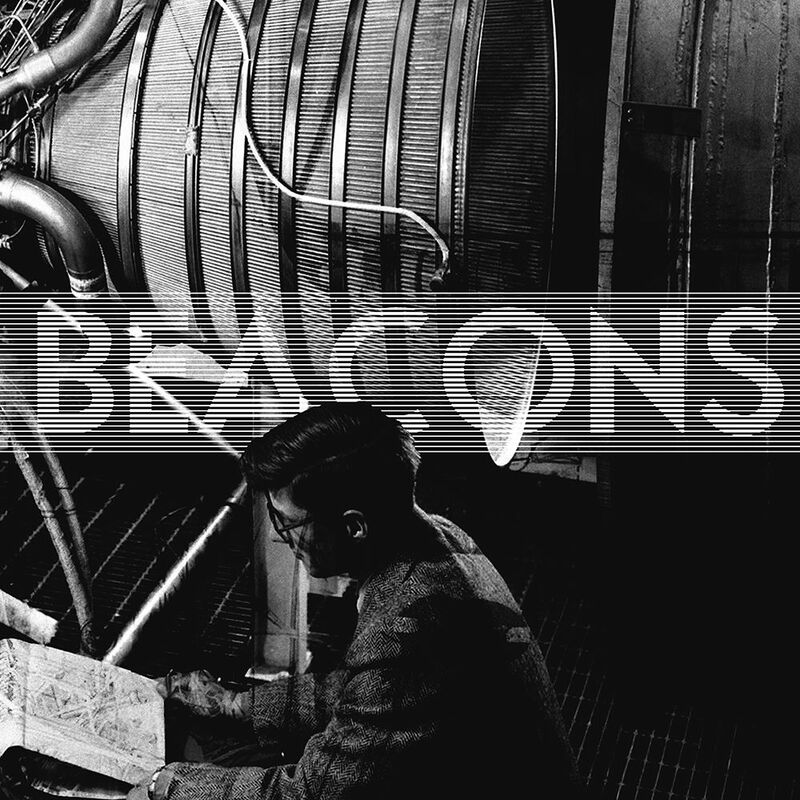 Two thirty-minute tracks divided into subsections scream stoner rock but are very melodic and can be appreciated by the substance-free listener. Basically, if you like Pink Floyd, you’ll like this album. IMA Robot- Another Man’s Treasure- Heavily electro-sized, IMA Robot seems to be the digital man’s U2. The beats are thrown at you in a jumbled mass, so if you’re not ready for the eccentricity, wait a little bit and come back. I could appreciate “Ruthless” and “Sail With Me” but the rest was a little too awkward for me personally to handle. Oh, I also might add that if you’re one of those folks who loves Edward Sharpe, he happens to be IMA Robot’s leading fella. Bleu- Four- Rock with a slight hint of country (not enough to scoff at though) that emphasizes the message in the lyrics. It seems so simple, yet I can’t help but enjoy listening to it. Try “B.O.S.T.O.N” on for size. The Superions- Destination…Christmas!- Fronted by Fred Schneider of the B-52s, The Superions definitely reflect the same oddity the B-52s inhabit so well. This album brings a whole new perspective on Christmas by taking the simple things and pizzazzing them into Superion-worthy tracks. Check out “Fruitcake” if you’re ready. We got a collection of Loud Rock/Metal in, but I don’t feel equipped to properly review it. So, if you feel like giving any of these albums a listen, feel free to do so and send me a review at music@kmnr.org . Your thoughts will be shared with errybody out here. Ethan's msc rvws fr ths wk. Not a bad jam-rock album. 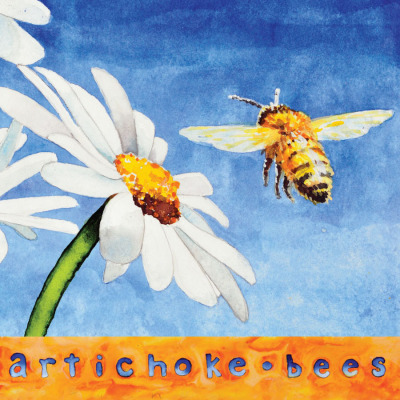 Features a very intriguing and engaging rhythm section with plenty of cool instrumentation, like every jam band should, with some western/country flavor mixed in. It’s worth a listen and on-air time if your looking for a laid back/mellow sound. You don’t really hear about modern A Capella groups very often, which is why this album was very refreshing. This album features a very cool, semi-modern RnB feel(I think of Fresh Prince when I listen to it). I recommend that you check it out. Small Black - New Chain- Fairly eclectic for a synth-pop album, Small Black mixes 80s- inspired beats, colorful synths that make me feel like I’ve entered the mind of Willy Wonka, and ethereal melodies. The vocals are your typical synthesized high-pitched indie boy sound, but I think the background makes up for it. “Photojournalist” is by far my favorite. Sun Airway- Nocturne of Exploded Crystal Chandelier- It’s always nice to hear electro beats that aren’t extremely in your face. 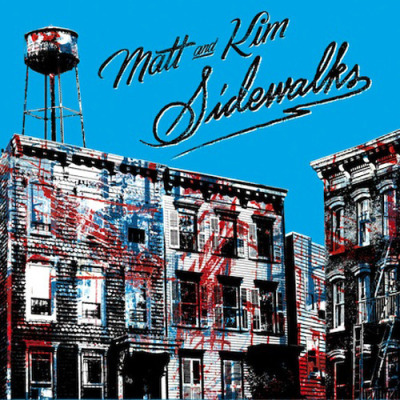 This album creates a melodic atmosphere while maintaining a decent rock sound. RIYL Animal Collective, The Killers. The Companies - Keep Me in Mind- Best described as post-punk alt rock, this album makes you feel like you’re in the London underground scene. And just when you think you really understand them, they pull out “Mami,” which is half rock, half salsa. Check it out if you enjoy The Cure. Progressive Rock - Uz Jsme Doma is one of those bands that has a sound that is so hard to place. Fans of King Crimson’s older work, Magma, and any progressive rock band from the 60’s and 70’s will feel right at home with this album, Caves. The album features odd rhythms, a very prominent, upbeat horn section, and a very unique vocalist. I can’t say too much more other than I really dig this album and plan on playing it heavily on my show. On Leyla’s website her music is described as “Traditional Honky Tonk County”. After a listen through, I can hear what they mean. Though I would add that she does incorporate modern pop-country/country rock heavily into the mix. Worth a listen to if you’re into that kind of thing. Folk-pop- Alessi Laurent-Marke really created something special with this one. By the time it was over I was wishing for more. The album had a very cool, mellow, sweet, and, for the lack of a better word, “real” feel to it. It wasn’t overly produced nor was it redundant with its musical themes. Awesome addition to the library.